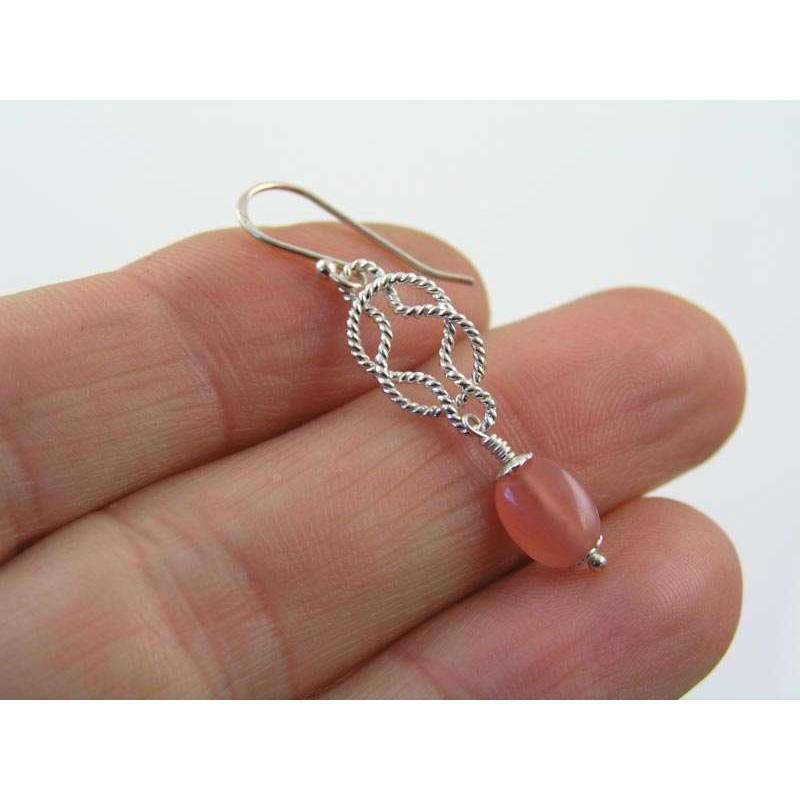 Rhodochrosite earrings with eternity knot connectors, sterling silver. 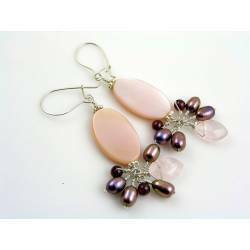 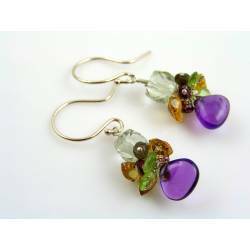 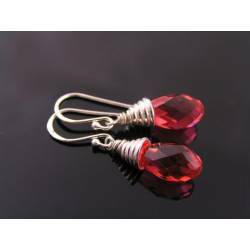 These are cute and light weight earrings. 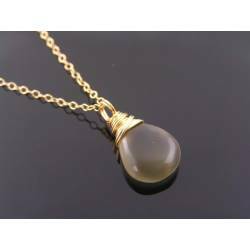 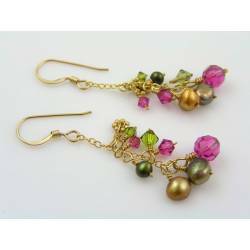 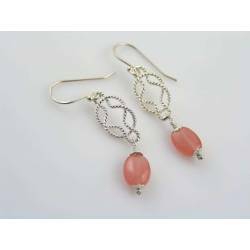 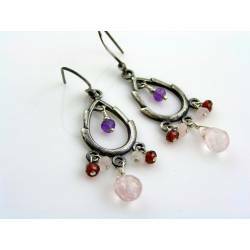 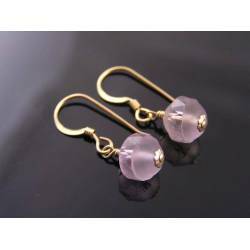 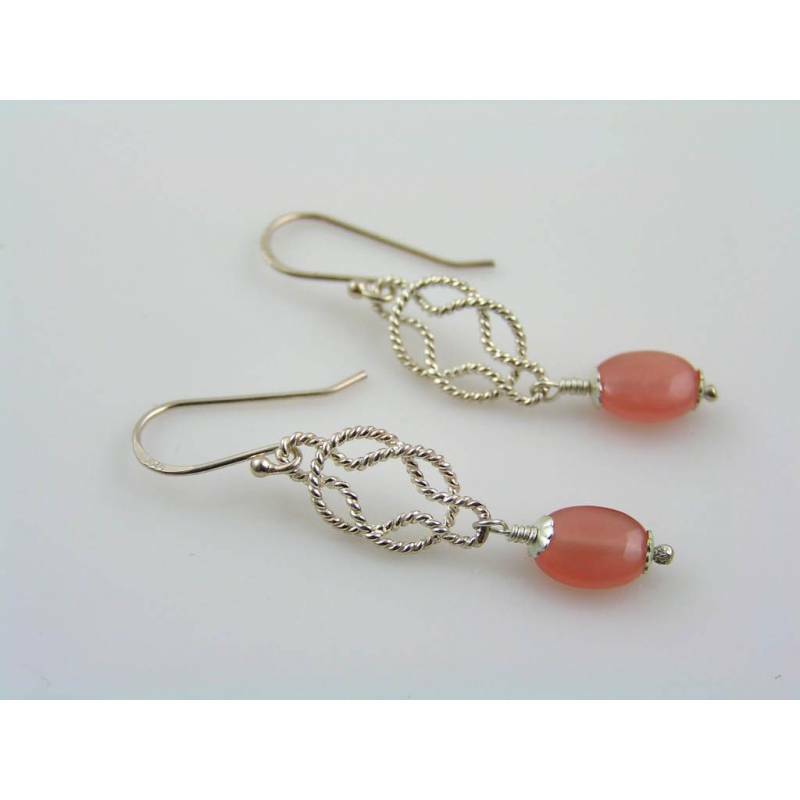 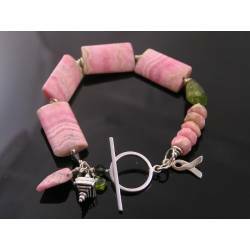 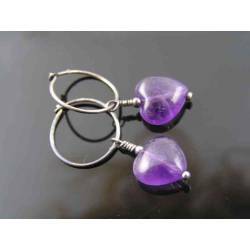 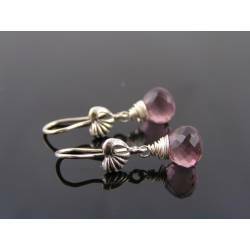 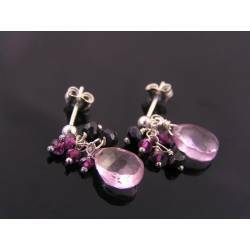 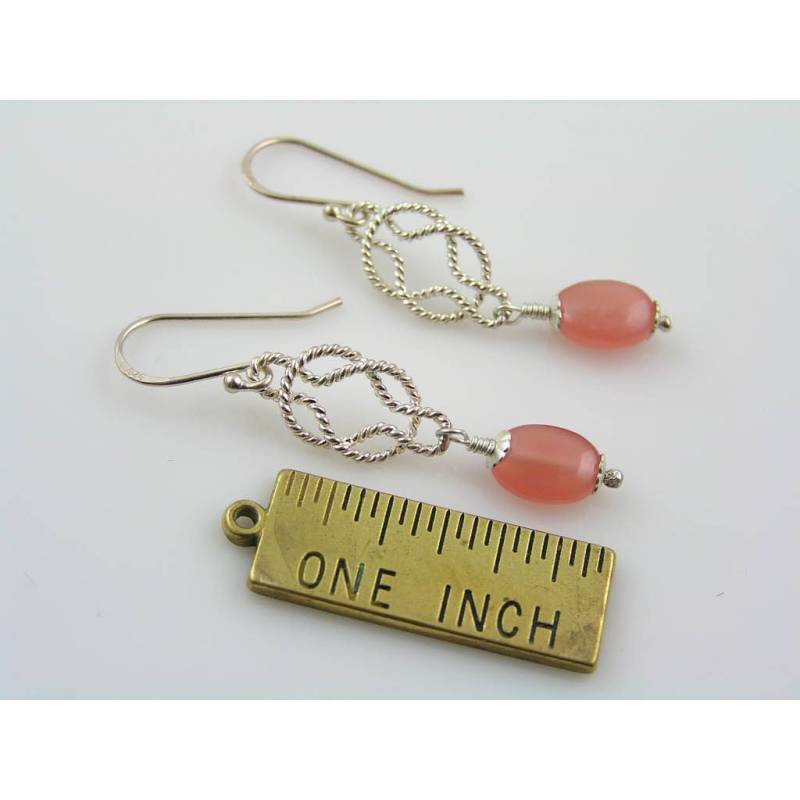 Attached to Bali ear hooks are eternity links which suspend a lovely, oval rhodochrosite bead. 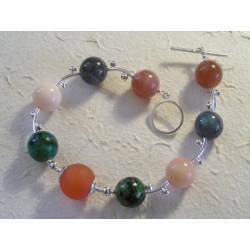 This is gem quality gel rhodochrosite, mined in Peru. 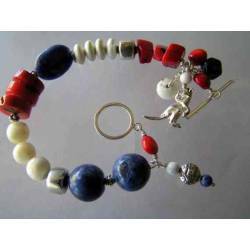 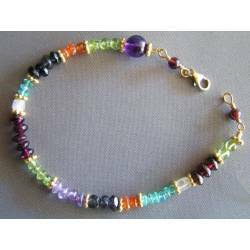 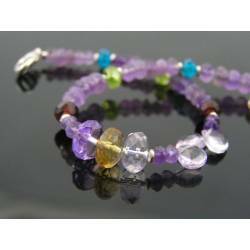 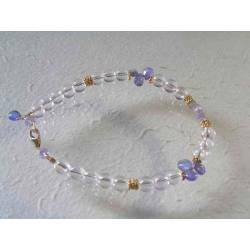 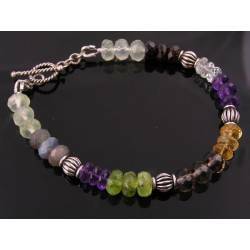 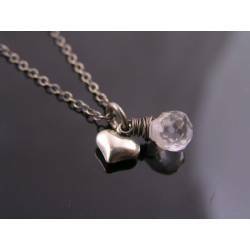 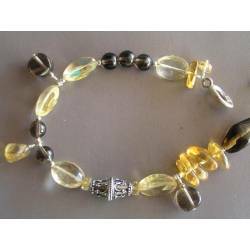 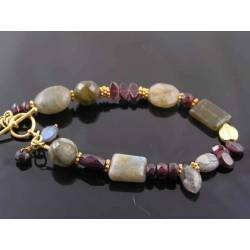 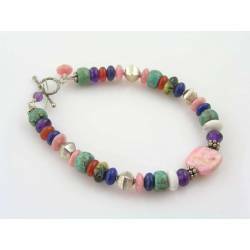 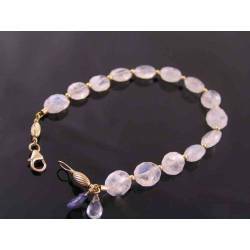 The gemstone bead is framed by tiny sterling bead caps.